Although it is not certain where the idea came from to form a junior college in southwestern Virginia, it is certain that a group of Bluefield residents who traveled to Bristol, Virginia, to appear before a committee of the Baptist General Association of Virginia played a key role in the creation of Bluefield College. With great interest and enthusiasm and with an offer of land and money, these men persuaded the BGAV to build its new college in Bluefield. Without them, where would BC be today? In 1919, the Baptist General Association of Virginia appointed a committee to study the need for a junior college in southwestern Virginia. The committee met in Bristol in August of that year, at which time a large group of citizens from Bluefield and vicinity came before the committee and generously offered $75,000 and 65 acres of land if the Association would locate the proposed college in Bluefield. At the meeting of the Baptist General Association in November of 1919, the committee recommended the Bluefield offer be accepted. In July of 1920, Dr. R.A. Lansdell became the first president of Bluefield College. During his administration, he assembled the first faculty, erected the first buildings and actively solicited funds for the college. In September of 1922, under Dr. Lansdell’s leadership, Bluefield College opened its doors to students seeking Christian higher education in southwestern Virginia. Dr. Lansdell served the college until 1926, and following a one–year interim tenure under Dr. J. Taylor Stinson, Dr. Oscar E. Sams assumed the task of president until 1930. Under Dr. Sams’ guidance, the college developed its first summer school program and a new Aviation Department. Dr. Sams also brought accreditation to BC through the American Association of Junior Colleges and the State Board of Education. Dr. Stinson returned to the president’s position from 1930 to 1934. During his second administration, BC launched a Department of Business Administration and a new engineering program. In the fall of 1934, Dr. Edwin C. Wade took over the presidency until 1946. Prior to the start of World War II, enrollment under Dr. Wade grew to an all–time high of 306 students. Following the war, growth under Dr. Wade reached even greater proportions, including some 468 veterans who enrolled in the fall of 1946. Dr. Charles L. Harman engineered the school’s most notable growth during his tenure as president from 1946 to 1971. Under Dr. Harman, BC gained national prominence with its strong Christian stands and its decision to refuse government aid on the basis of separation of church and state. Dr. Harman led the most prolific era in development for the college, including the first organized fund–raising campaign and the construction of several campus facilities: Easley Library (1956), Rish Hall Girls’ Dormitory (1960), Harman Chapel (1965), and The Golden Dome Gymnasium (1968). 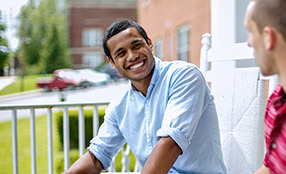 Under Dr. Harman, the college also developed a widely recognized Baptist Student Union, implemented residential co–educational status, opened its first night school program, and obtained accreditation from the Southern Association of Colleges and Schools. Dr. Charles L. Tyer followed the success of Dr. Harman. During Dr. Tyer’s administration from 1972 to 1988, BC’s most notable accomplishment was its rise in accreditation to a four–year college. 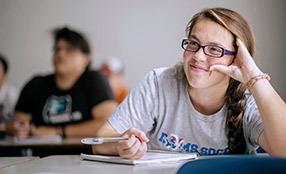 Following a two–year self study, BC began to offer baccalaureate degrees in 1975, accredited by the Southern Association. After Dr. Tyer’s retirement, Dr. Gary N. Garner served a short term of interim leadership before Dr. Roy A. Dobyns assumed the presidency in 1989. 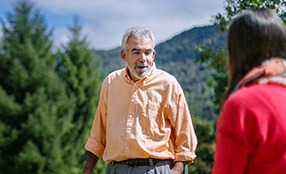 Dr. Dobyns led the college in its most notable era of student growth. From 1989 to 1995, enrollment at BC more than doubled to an all–time high of 853. Under Dr. Dobyns, the college also launched its largest fund–raising effort in history, the 75th Anniversary Campaign. 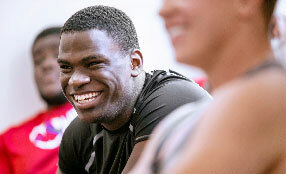 A new Science Center, major renovations, and additional academic and athletic programs were all a part of the campaign. Dr. Dobyns retired in 1996, and Dr. T. Keith Edwards served a one–year term as interim president. During the 1996–97 year, Dr. Edwards strengthened the college’s financial standing and guided other major renovations on campus before Dr. Daniel G. MacMillan began his tenure as president, July 1, 1997. Dr. MacMillan joined the college just in time to celebrate the school’s 75th anniversary and the culmination of the 75th Anniversary Campaign. During Dr. MacMillan’s first year, gifts and pledges to the campaign surpassed the $7.5 million goal, making this campaign the largest fund-raising effort in school history. With the campaign’s final gifts, BC began construction on a new state-of-the-art Visual Arts Center, improved technology on campus, and completed renovations to the student dining hall, bookstore, Dome Gymnasium and residence halls. Just two weeks after Dr. MacMillan’s formal inauguration in November of 1997, he announced “one of the boldest moves in the 75-year history of Bluefield College.” Dr. MacMillan announced a 23 percent reduction in tuition. Tuition at the college dropped from $8,770 to $6,700, beginning with the fall 1998 semester. 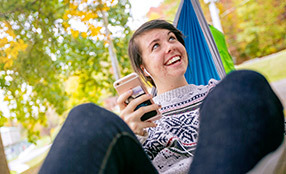 The move distinguished BC as the only private college in Virginia to ever substantially reduce tuition. Dr. MacMillan began to set the stage for future growth at BC when he rallied leaders together to "re-articulate” the school’s mission and to develop a new strategic plan. The result of this committee’s work was a more defined mission statement -- educating promising students for a life’s work, connecting Christian principles and learning, and changing the world one graduate at a time -- and a visionary Strategic Plan for the 21st Century. The new Strategic Plan called for, among other initiatives, improvements in technology, a strengthening of the school's commitment to the integration of faith and learning, and the exploration of new academic programs. The fruits of that Strategic Plan have been most evident in 1) BC’s four consecutive years (2003-2006) of being named one of the Top 50 comprehensive undergraduate colleges in the South by U.S. News and World Report, 2) reaffirmation of accreditation from the Southern Association of Colleges and Schools (2004), 3) the creation of 11 state-of-the-art SMART classrooms on campus, and 4) the creation of two new majors (theatre arts for traditional students) and behavioral science (for adult degree-completion students). 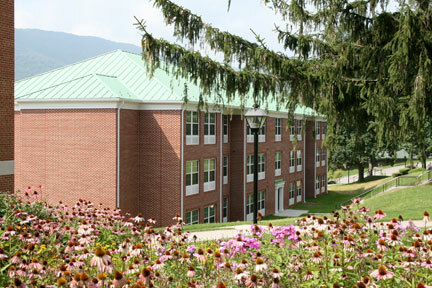 After nine years of service and success, President MacMillan bid farewell to Bluefield College in the summer of 2006. Dr. Charles Warren, a Bluefield native and retired Christian educator with more than 14 years of experience as a college president, accepted the call to serve as interim president. In just one short year of service, Dr. Warren led the school in the creation of a new forensics science major, renovations to the college's library, and the establishment of a Football Feasibility Study Group to explore the return of football on campus. 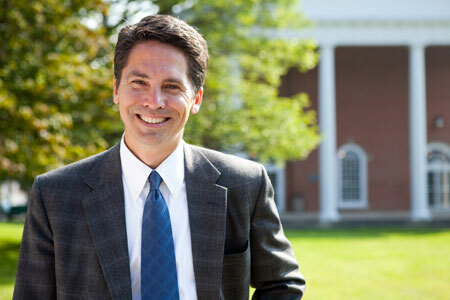 In the summer of 2007, the Board of Trustees announced the appointment of Dr. David W. Olive, an executive vice president and chief operating officer at Pfeiffer University in Charlotte, North Carolina, as the ninth president in the 85-year history of Bluefield College. Dr. Olive, a onetime attorney and pastor, began his presidency with BC on July 1, 2007. During his first year as president, Dr. Olive crafted a bold new vision and mission statement for the college with a corresponding Strategic Plan and Campus Master Plan. The vision: to be a nationally recognized Christ-centered liberal arts college, preparing innovative learners and transformational leaders to impact the world. And, among the objectives accomplished in the Strategic Plan and Campus Master Plan during Dr. Olive's first four years on the job: 1) major renovations to Harman Chapel, Lansdell Hall, guest cottages, and Rish and Cruise residence halls, 2) the opening of a new missions center and a new academic support center, 3) the introduction of new academic programs in instrumental music, public safety and nursing, and online degree programs in criminal justice and behavioral science, 4) the construction of East River Hall, the school's first new residence hall in 30 years, and 5) the reinstatement of intercollegiate football after a 70-year hiatus. 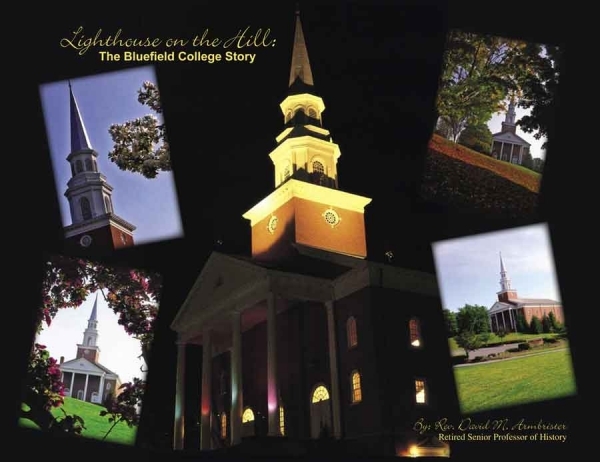 View the complete 141-page history of Bluefield College.